Since this month marks National Glaucoma Awareness Month, in this article we are here to stress the importance of early diagnosis of glaucoma. Glaucoma is a group of eye diseases that damage the eye's optic nerve, which may cause a loss of vision. If untreated, glaucoma often first shows up as peripheral vision loss and ultimately ends up causing total blindness. Glaucoma is thought to be the number one reason for preventable blindness and according to estimates, over sixty million people worldwide have it. A contributing source of glaucoma is known to be an increase in pressure around the optic nerve known as intraocular pressure. As pressure around the eye increases, this causes damage to the optic nerve which transports signals from the eye to the vision centers in the brain. When this pathway doesn't function properly, vision is affected. Regrettably, optic nerve damage is typically irreversible. Glaucoma is particularly threatening because unlike other forms of blindness, there are no symptoms until irreparable damage is done. It is because of the disease's subtle nature glaucoma has acquired the nickname the "sneak thief of sight." This may leave you asking: is it possible to diagnose an illness which is asymptomatic? Early detection of glaucoma is important to successful treatment. While glaucoma risk is universal, particular populations are at higher risk than others. Major risk factors for glaucoma may include those over 45 years old, those having a family history of glaucoma, a predisposition to diabetes, or other eye conditions such as myopia, hyperopia, eye injuries or elevated intraocular pressure. There are a few different categories of glaucoma such as open or close angle glaucomas. Both eyes are usually affected, although the disease can progress more quickly in one eye than in the other. To learn more about glaucoma speak to your eye doctor. There are a number of diagnostic eye evaluations relied on by doctors to measure damage to the ocular nerves caused by glaucoma. Especially if you are 45 or older or know that you are at risk, it's important to schedule a comprehensive eye examination annually. It is unfortunate that most forms of glaucoma cannot be prevented. Nevertheless the loss of sight caused by damage to the optic nerve can be slowed by timely diagnosis and quick treatment. 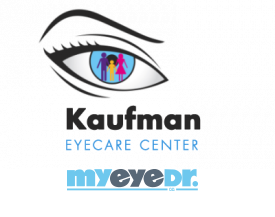 Contact Kaufman Eyecare Center today, for a yearly glaucoma screening.